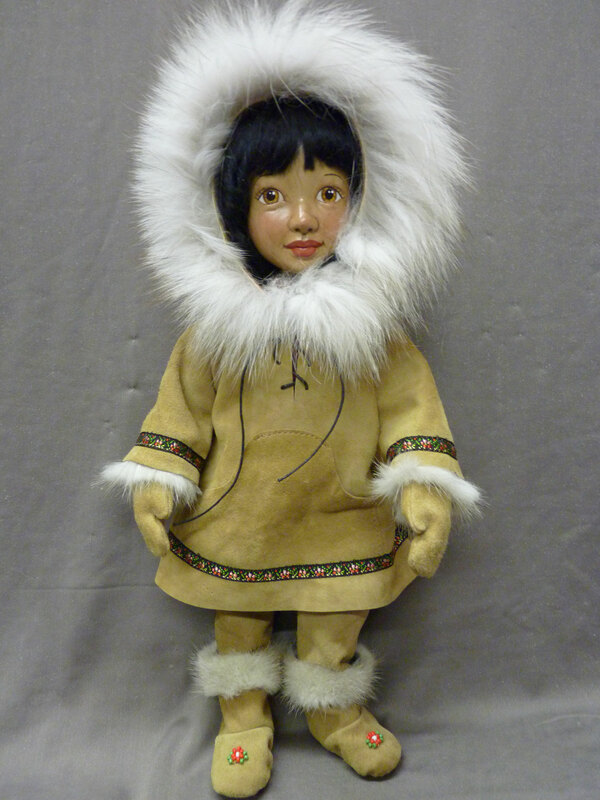 Kata our 13" tall Inuit Doll is beautifully carved from Western Maple. She has a hand painted face and mohair wig. 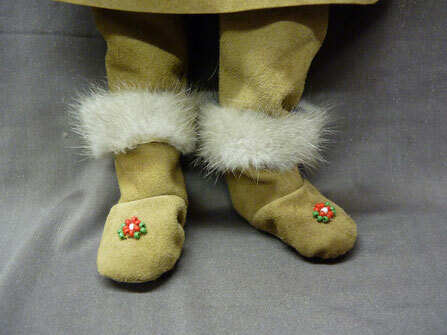 Her costume is authentically designed in house from soft goat skin and is trimmed with faux fur. Her gloves and moccasins are also made by us. The moccasins are hand beaded with glass beads. 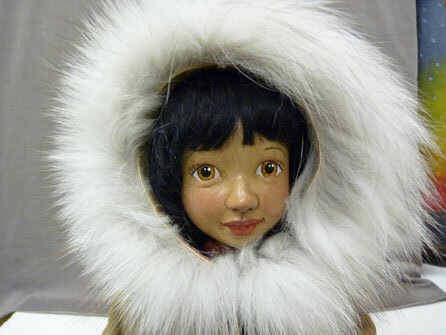 Kata Inuit Doll one just SOLD only 1 currently available.